N.W.A biopic “Straight Outta Compton” was one of the notable shutouts at the Oscar nominations on Thursday morning, when it received just one nod for Best Original Screenplay and was totally snubbed in the Best Picture and Actor categories. While social media exploded with disgruntled messages about the lack of diversity at the Oscars once again — sparking the revival of last year’s #OscarsSoWhite hashtag — the hit movie’s producer and subject Ice Cube said on “The Wendy Williams Show” later Thursday afternoon that he isn’t “pissed” about being overlooked by the Academy. “I was surprised you weren’t nominated for more than just Best Original Screenplay,” Williams said, while slipping in a swift “congratulations” to the rapper-turned-filmmaker. “But that’s not your award — that’s the screenplay award … I thought you guys would get more,” she added. “Me too,” was Ice Cube‘s deadpan response, appearing to be less upset about it than Williams. “I’m not pissed. I’m not surprised. It’s the Oscars, they do what they do,” he continued. 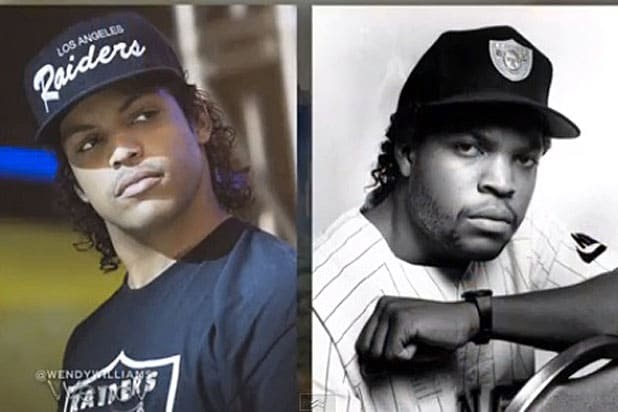 The hip-hop star went on to reveal that his son O’Shea Jackson, Jr., who played Cube in the movie, was surprised by some of the hard-partying hotel room scenes. “He didn’t know that we had guns and stuff on tour — back when we were young and dumb,” said the “Ride Along 2” star. As for N.W.A being inducted into the Rock and Roll Hall of Fame, Cube wasn’t too fired up about that honor either. “N.W.A was anti-establishment so we’re used to people trying to dismiss what we’re trying to say, with the industry looking down on us … we’re the black sheep of the industry,” he told Williams. 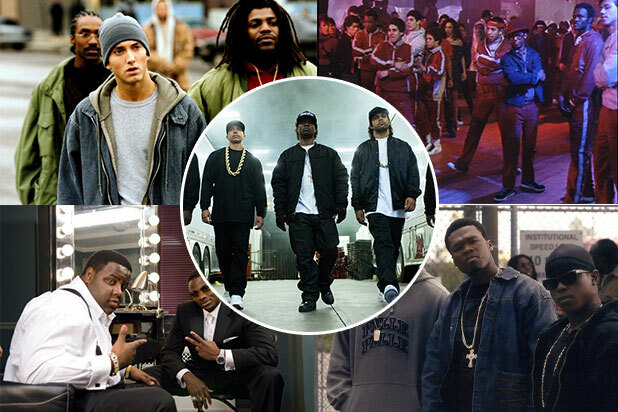 Ice Cube will next be seen in “Ride Along 2” alongside Kevin Hart, which hits theaters on Friday.